Calcium carbonate: the leftover material when shells, bones etc. breakdown. CIS: Commonwealth of Independent States; The Former Soviet Union. Community Ecology: study of all interactions within an ecosystem. Land-locked: surrounded on all sides by land; no access to large bodies of water. Zapovednik(i): a Russian word for national nature reserve. Where in the world is Kazakhstan (Ka-zakh-ston)? This may be a puzzling question to some. However, the following summary of Kazakhstan will help put the pieces together! Kazakhstan is almost directly on the other side of the world from the United States. Although it seems very far away, the people, landscape and wildlife are both similar and very different from those here. But why is this area with its landscape and wildlife interesting to us? Because, just as we learn about the importance of conserving the rainforests and other natural areas, this area is also important. So, now maybe you are wondering why conservation is important? Well, natural areas provide us with very important products such as medicines, food products and the chance to see many types of plants and animals. More importantly, all ecosystems are connected in such a way that the health or deterioration of one affects all the others. In this way, it IS important to know about other countries and their natural resources as a way to conserve our own. Kazakhstan is a large Republic of the CIS. It is so large that the countries of France, Spain, Sweden, Germany, Finland, Italy and Great Britian could all fit into its 1.04 million square mile area! The types of scenery and habitats range from those of the Rocky Mountains to the Great Plains, separated sometimes by pine forests or wetland areas. Because of this diversity in landscape types, Kazakhstan has a great diversity of animals and plants. You may have the chance to see the tracks of the mysterious Snow Leopard in the Tien-Shan Mountains, the noise of 30,000 Flamingos in the central wetlands or the scream of the Steppe Eagle and the howl of the Steppe Wolf in the northern steppe. The diversity of Kazakhstan has led to the establishment of eight national nature reserves, known as zapovedniki (za-po-ved-nic-key). These areas are very unique in that they were set aside for the scientific study of community ecology in a natural and undisturbed area. This means that the area allows for the study, conservation and protection of the ecosystem as a whole and all its plants and animals. One zapovednik, Naurzum Zapovednik, is a good example of the reserve system in Kazakhstan. This northern zapovednik covers 187,000 ha of land that includes habitat types similar to those we have in the states of Minnesota and Nebraska combined in one place. Presently, the zapovednik is divided into three individual sections, in addition to the lake areas, all with unique characteristics of their own. The zapovednik is diverse in its types of flora (plants) and fauna (animals). It has 687 species of plants and 320 vertebrate animals. Now that you have learned a little more about Kazakhstan and its zapovedniki you may understand the importance of conservation in this region. More importantly, you may now realize how all ecosystems are interconnected and depend on one another! 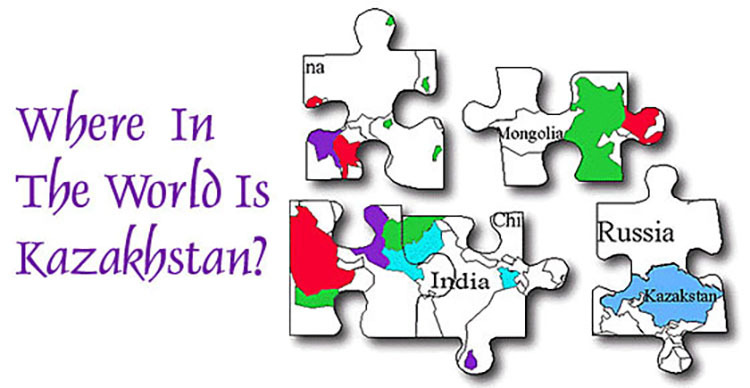 Read more about: Where in the World Is Kazakhstan? Article: Where In The World Is Kazakhstan?